There has not been any snow or ice storm this winter, and the temperature seems to be climbing up. I had fun photographing iced and frosted vegetation last year, but chances of getting my dream scene are minimum this year. Whenever I walk by this ‘path of thistles,’ they are mostly dark and dry. I’ve often challenged myself to create something out of nothing. But how can I make something lively from something so deadly? With Lensbaby velvet lens with me, I discovered the world that I have not seen. I was dazzled by the soft glow. 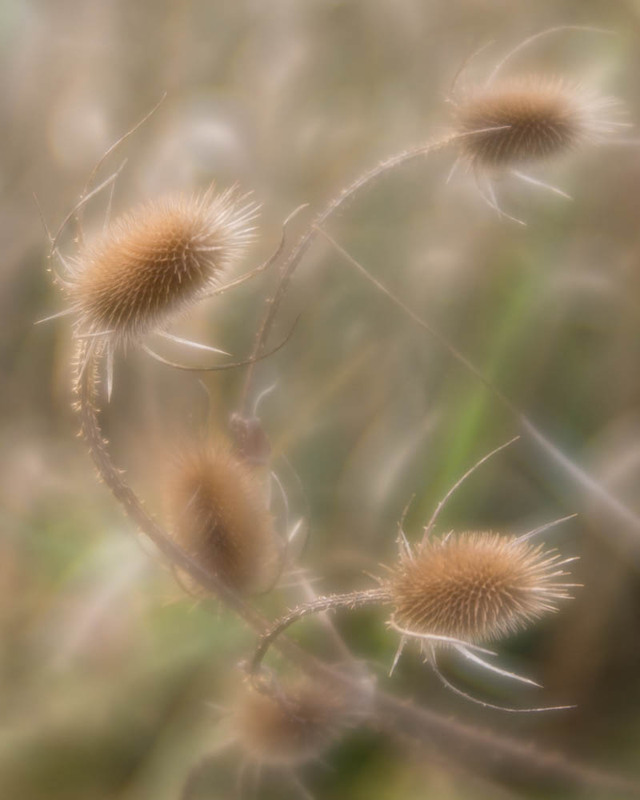 Sunlight was in the background, and I found this small group of thistles glowing and dancing in the light. 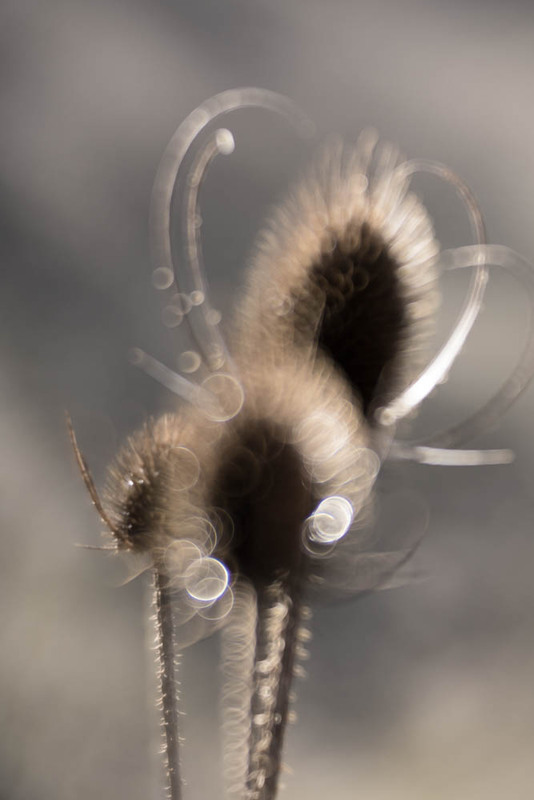 I examined man y single thistles and walked into the mud trying to shoot from various angles. Sunbeams on the thistle danced an array of radial glow. I wish I could take a better picture to show you the virtual reality from the viewer of my camera. This is the first time I come to realize what GLOW really means. The sensational light circles were hovering ov er the thistles. They caught me by surprise and filled me up with excitement. I was obsessed with the light circles and suddenly discovered a HEART light ring within! 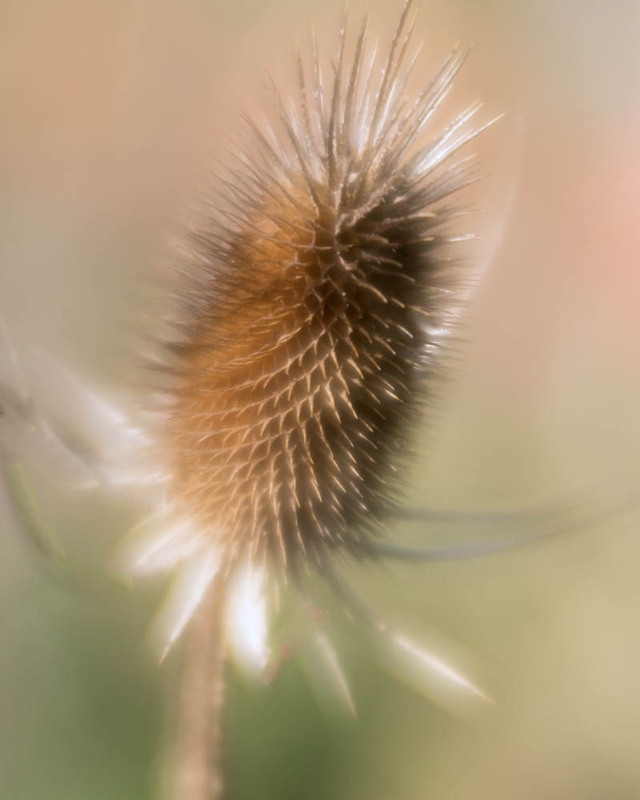 The last image was taken last summer when the thistle was crowned with purple and adorned with green. If we talk about colors, summer is their prime time. Yesterday when I was on the path, I found the lavender flowers were green, a sign of spring, yes! I cannot wait for the plants and flowers to bud and to bloom.